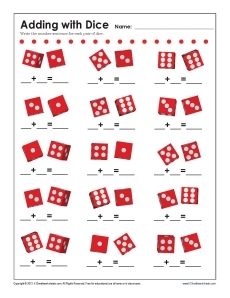 In this worksheet, your student will count each pair of dice and create an addition number sentence. He'll practice both counting and simple addition. It's a fun way to learn!